Various tools and techniques of agricultural mechanization biometan fuel - a renewable energy - intended to improve the efficiency of agriculture by improving productivity , farmers' welfare , and environmental sustainability . 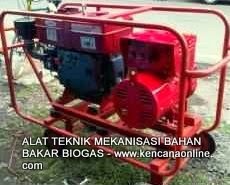 Biometan obtained by purification of biogas - generated from biomass in the fermentation process of biogas digester . Among other waste biomass cultivation ( agriculture , horticulture, fisheries and animal husbandry ) , aquatic weeds ( kelp , water hyacinth ) , weed the garden , industrial waste and agricultural processing organic waste - which was abundant all the availability in rural and urban areas. 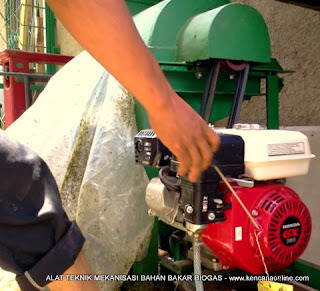 Different types of tools and techniques mechanization fueled biometan ( pure biogas ) which is and will continue to be developed , among others, the fields of mechanical engineering agriculture ( tractors , water pumps / irrigation , pond aeration windmills biogas ) , agricultural process engineering / food ( powerl thresher of corn , beans and rice Mill Unit biogas ) , workshops and agricultural electricity ( electric generators , welding generators and handlebar , biogas burner ) , organic composting tools ( cutting machines , composter and machinery sieving biogas ) . 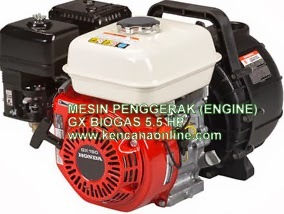 Basically , every agricultural machinery and engineering tools - which requires the engine - with the presence of certain biogas engine can be changed from the use of fuel oil ( BBM ) into fuel biometan ( pure biogas ) . 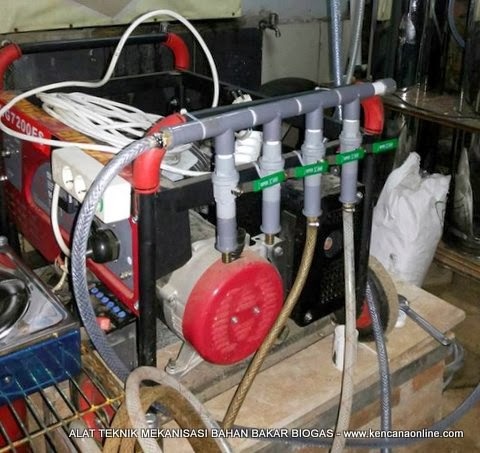 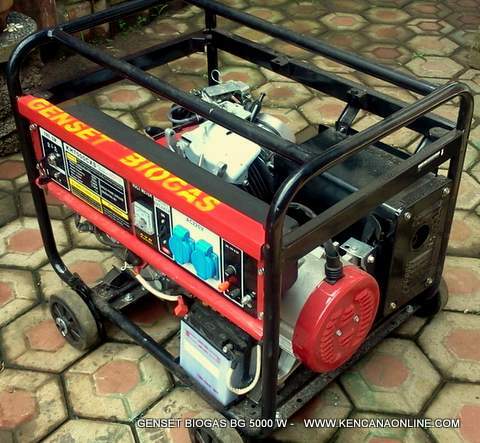 In addition to the tool using the technique of mover ( engine ) , in this product category are presented as well as heat and light the stove / burner kerosene biogas. 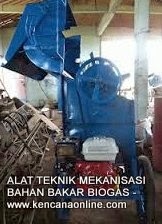 And , for the mechanization of engineering equipment with electro motor , generator sets and alternators existence biogas as the main tool Biomass Power Plant ( PLTBM ) - to guarantee the supply of electricity without having to rely on the existence of the power and availability of fuel oil ( BBM ) .